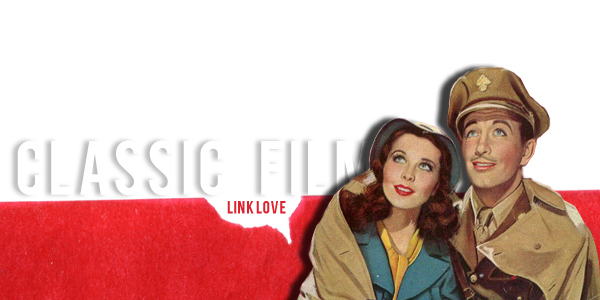 Welcome to the second installment of Classic Film Link Love! I’ve started following quite a few new classic film blogs since Link Love #1 was posted a few weeks ago. One of them is the Classic Movie Blog Association. 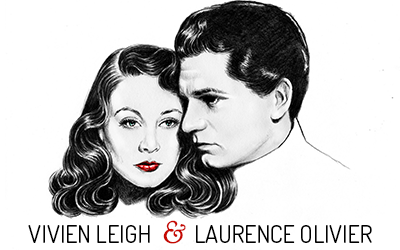 I’m really excited to be participating in their Classic Movies of 1939 Blogathon in May! I’ll be talking about one of my all time favorite films, The Wizard of Oz, as well as the little-talked-about Tim Whelan film Q Planes, starring Laurence Olivier, Valerie Hobson and Ralph Richardson. Watch this space! And now, to get down to business, here are some of my favorite recent classic film blog posts from around the interwebz. Meredith shines the spotlight on Virginia Grey, one of Clark Gable’s many young starlet conquests, over at Dear Mr. Gable. The Mythical Monkey (who writes about the movies) paid tribute to the great Charles Chaplin on his birthday by sharing one of Chaplin’s famous silents, The Gold Rush. If you haven’t seen this film, I highly recommend popping over to watch it. It’s hilarious, and is the source of the famous bread roll dance scene. Sarah at And…Scene! made a great post about vintage ads featuring classic film stars. My favorites are David Niven promoting First National travelers checks and fat Orson Welles for Paul Masson Cabernet Sauvingon. I was recently introduced to the wonders of Orson’s drunken Paul Masson commercial outtakes on youtube, and have to say it might be the greatest thing ever. Laura gives a glowing review of one of my all-time favorite films, Frank Capra’s Oscar-winning It Happened One Night, over at City Lights. Tom at Motion Picture Gems is doing a series about historical small town movie theatres. I love old theatres. They have such a sense of history, and they usually screen older films. I’d take one of these over the multiplex any day. Do you have an old theatre in your town? Page wrote a fabulous post about the beautiful silent film star (and one of Vivien Leigh’s favorite actors) Ramon Novarro over at My Love of Old Hollywood. 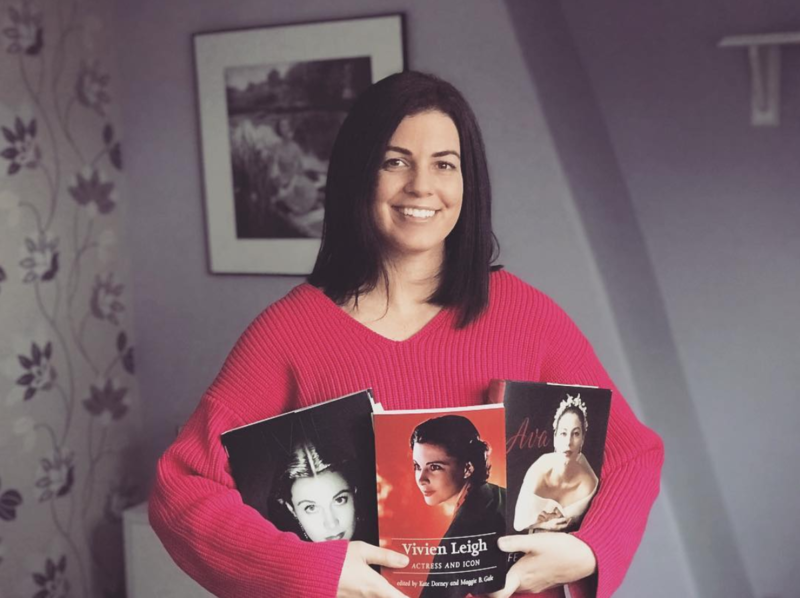 Jnpickens shoed us how she decked out her room and office space with old movie memorabilia (glad I’m not the only one who does this) over at Comet Over Hollywood. Do you have classic film memorabilia on your walls? That’s all for this installment of Classic Film Link Love. Until next time! Thanks for sharing all of those links! I’ve been following and enjoying the small town movie theater series too. I’m excited to read the spotlight on Virginia Grey! Such a beautiful woman with a bit of a sad story. How I’d like to see “Q planes” (together with “Demi Paradise”), Kendra! Of course I’ll watch that space. Q Planes is available on youtube! Demi-Paradise, however, is a bit harder to come across. Welcome to the CMBA! I’m glad you enjoyed the Ramon Novarro post and included it in your list. He’s my favorite silent actor and was incredibly talented so it’s nice that he’s getting some recognition. I’m looking forward to your reviews of The Wixard of Oz and Q Plane for the upcoming Blogathon. Thanks! Confession: I’ve actually never seen a Ramon Novarro film, but after reading your post, I’m especially keen to! Thanks for the blog love! I added a clickable link to this post, so hopefully you’ll get some traffic coming back in the other direction. The Gold Rush really is a fun movie and a great introduction to silent movies. Not only does it have the dancing rolls bit, but it also features Chaplin cooking and eating his own boot, and the bit where a starving man hallucinates and sees his partner as a giant chicken. Katie-Bar-The-Door saw it accompanied by the Baltimore Symphony Orchestra recently — terrific. I do love The Gold Rush and remember seeing it in a silent film class I took as an undergrad. While not my fave Chaplin film (that would be City Lights), I still think it’s brilliant! Silent films with live symphony accompaniment are amazing. I’m glad your friend got to see this one! Thanks so much for visiting my page! I just love vintage ads! I also love following Monty’s blog All Good Things which is why you may have gotten me mixed up with his. My blog is actually called And…Scene! I love the look and subject of your page. I am actually reading Laurence Olivier: A Biography by Donald Spoto right now. I just had to after seeing Olivier in Wuthering Heights! ahh, sorry for the mix up! I corrected it (but at least linked to the right blog, phew! lol). Bless Laurence Olivier and Wuthering Heights! He’s so amazing in that film. I’d actually recommend reading the Terry Coleman bio as the Spoto one is where the whole Larry/Danny Kaye rumor started, which was later debunked in the Coleman one. Anyway, do let me know what you think of it when you’re finished! Okay, that Paul Masson commercial with a drunken Orson Welles is quite possibly the greatest thing to ever grace YouTube! Isn’t it? I nearly died laughing!